Is midriff baring fashion a growing trend of 2015? 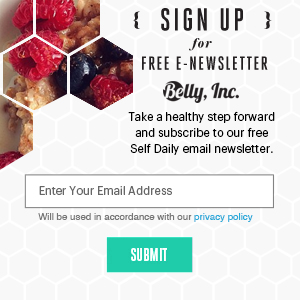 - Belly, Inc.
Homepage » Style » Is midriff baring fashion a growing trend of 2015? Trends never really go away. They disappear for a period of time and after some years, they come crashing back at us with some changes. The pieces of clothing adopt the patterns, shape and lengths that are popular at the moment, which transforms them in something that is liked a lot. Of course the year 2014 could not escape this occurrence and neither 2015, but in but in the contrary. 2014 was the year when the midriff baring reappeared and it looked it managed to take hostage our attention and wardrobes. But as it seems the crop top hasn’t been buried even after one year. You would think that the people must have lost their interest in this style and now it is the time to let it go. But there are some factors that lead in them being worn even in 2015. We think that the component that attracts everybody’s attention is the midriff baring. This part draws the eye to the thinnest part of pretty much every woman’s body, the area at the middle of the ribcage, between the breasts and the waist. This, one way or another, can looksexy in a youthful and uncontrived way. Photo credits: James Devaney/ Getty images. Also these shrunken tops love all type of body shapes. Whether you are long and lean, you don’t have to worry about the lack of curves. Taylor Swift and Lorde give a great example of that. They only worry about how classy they look. Photo Credit: Chris Jepson- WENN/ Frazer Harrison & Jason Merritt – Getty Getty Images. Talking about the curvier girls, there is no other perfect way to show off your assets. Maybe this is one of the reasons that this style is still going strong. If anyone has shown that to the world is Kim and Khloe Kardashian and Beyonce. Photo credits: All access photo – Splash News/ Look – Robyn Munson/ Beyonce’s Instagram. The crop top has provided for the ones who are fit and trim a really good deal. To be able to show your “Alpha” body. Chiara Ferragni, Kendall Jenner, Rosie Utington or Cara Delevinge exemplifies what we mean. Photo credits: mavrixonline/ Karwai Tang – FilmMagic/ Getty Images/ Gregorio Capineri Tosetti. The midriff baring came as quick as it once vanished, now being one of the biggest trends out there. That is obvious. The only thing we can not predict, is the journey that this article of clothing will have and how long will it last. 2015 is still in its “claws”. But fashion in unpredictable. After all, this is what it taught us.